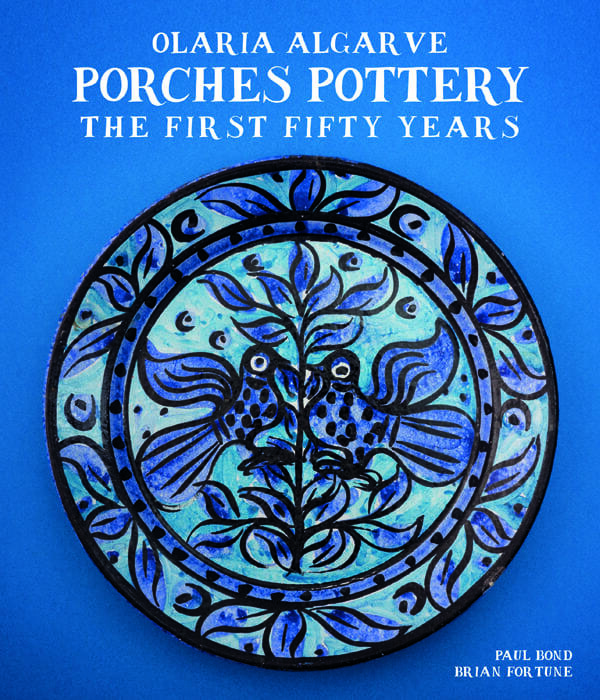 Porches Pottery celebrates 50th anniversary. 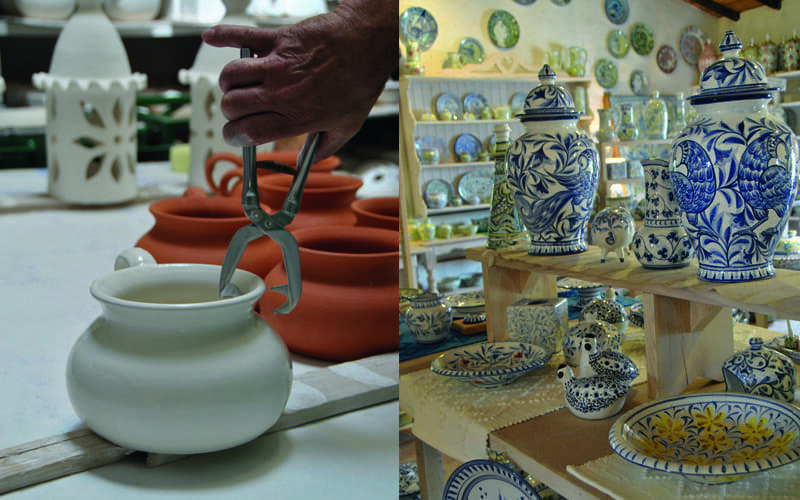 There is a long tradition of pottery in the Algarve. The Phoenicians, the Romans and the Moors, all of whom occupied the region at one point, were masters of the earthenware. There are ceramics shops all over southern Portugal, but the small village of Porches is considered the Algarve’s pottery centre. It’s precisely here that you can find one of the most renowned potteries in the region, which is featured in every tourist guide: Olaria Algarve, better known as Porches Pottery. But the village wasn’t always the ‘capital’ of this ancient art. Even though master potters went to Porches to find the clay they required, their factories were in Lagoa. The first pottery shop in Porches was only founded in 1968, by Irishman Patrick Swift, who, as the president of the local parish council says, “put Porches on the map”. Swift discovered the region in the 1960s and fell in love with it, moving here with his wife and two daughters. At the time, the art of pottery was in decline. Intricate earthenware was being replaced by plastic and metal jars, which were mass-produced and cheap. Swift decided he wanted to save this traditional art and, coincidentally, met artist Lima de Freitas, who shared his passions for regional pottery. Together they researched the peoples who had inhabited the area in ancient times and had left their mark in pottery; they visited ceramics museums in Portugal and abroad, including the Victoria and Albert Museum, in London, which houses the largest collection of decorative arts and design in the world. The pair eventually opted to use the majolica technique, an ancient practice which is believed to have originated in Persia and was introduced in Europe by the Moors. It consists of coating the clay pieces in a tin-based glaze, after the first baking, which covers them in an opaque, white base onto which the decoration is applied after another glaze and second baking. This way, the colours and glaze melt together and form a shiny coat, which is also waterproof and resistant. The motifs created by Swift and Freitas were also inspired in ancient civilisations: the long-tailed bird features in Phoenician mythology; the hound dog and the hare were popular with the Moors; the tree of life, flanked by two birds with open wings, hails from Iberia; and fish were a recurring motif used during the Roman occupation. Both the majolica technique and these themes are still today used at Olaria Algarve, and the regional flora also serves as inspiration in many plates, platters, bowls, serving bowls and countless other pieces produced by the renowned shop. Each piece is decorated by hand – a practice that Swift’s daughters, Stella and Juliet, were committed to preserving when they took over their father’s work after his passing, in the early 1980s. Swift started them off in the family business as teenagers, and they went on to study Art and Art History. Today, they are in charge of not only the management of the company but also its artistic direction. The sisters develop new motifs and create their own pieces, mainly panels and azulejos (hand-painted tiles). Around two years ago, Brian Fortune, Juliet’s son, also joined the team. For Juliet and Stella, “it’s an honour to continue [their] father’s work”. And the number of clients that come through the shop’s doors, looking around in wonder at the works in display and whispering as if they were in a museum, proves they have done just that. Hand-painted ceramics lovers also have the chance to observe as the pair brings motifs to life with light but assertive brushes. The ‘Marias’ have also been a part of the Porches Pottery team for many years: Maria Rosa has been there for 42 years; Maria do Carmo and Maria Manuela for 36; Maria Eulália for 28; and Maria José for 27. Two to three times a week, guests can also find in the shop artisan Ana Boto, who has been working there since its creation. The shop’s building, which Patrick Swift had built in the style of a traditional Algarve home, is a piece of art in and of itself, decorated with stunning embossments and walls covered in traditional hand-painted tiles. Adjoining the shop, the family added a small café, Bar Bacchus. The intimate space, with a cosy log fire lit during winter, is named for the Roman god of wine, whose story is depicted across the tiles designed by Swift, which cover the walls. To celebrate the Pottery’s 50th anniversary, the family is publishing a book on the history of Olaria Algarve, in September. Paul Bond pens the work but Brian, Swift’s grandson, handled the research. According to him, Paul, who lives in Bath, England, is “a historian and writer with an interest in the history of art and design and a keen collector of Porches Pottery”, which made for the ideal partnership. “The book features a thoroughly researched and detailed biography of the pottery from its inception to the present day, supported by interviews with all the present painters and many past staff members, collectors, and friends of the pottery,” Brian explains. “It’s illustrated throughout with archival photography, and an extensive collection of remarkable pots and tiles from the last 50 years, that includes numerous previously unseen pieces from private collections. 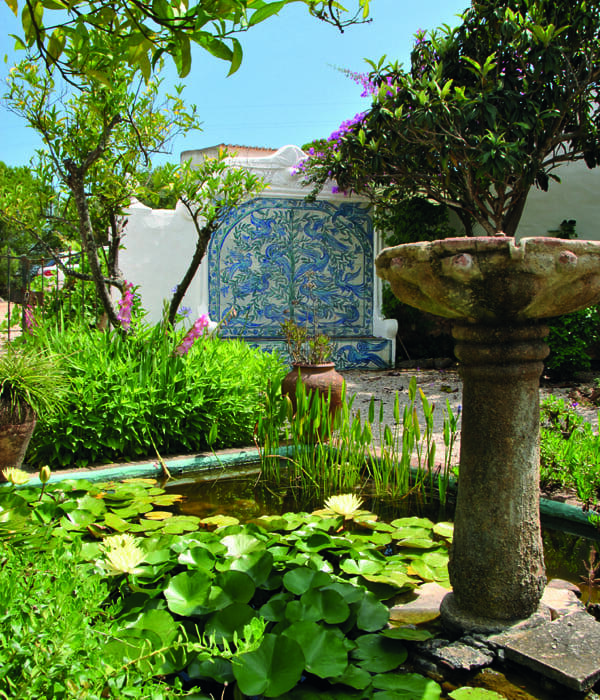 Furthermore, it also includes sections which cover the Porches Pottery style, an in-depth discussion of the azulejos that have been produced at the pottery, as well as information for collectors.” According to Swift’s grandson, the book is “an essential resource for anyone interested, not only in Porches Pottery, but in the contemporary history of Portuguese ceramic art and tiles”. 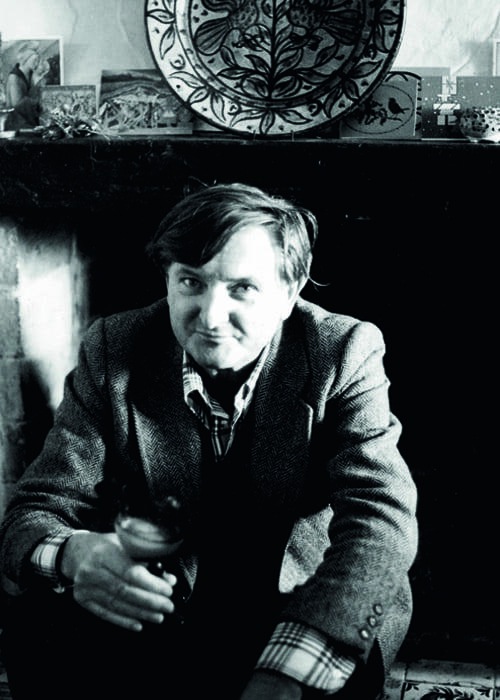 There is also an exhibition in the works at Convento de S. José in Lagoa, which will feature ceramic pieces and paintings by Patrick Swift, who studied at the National College of Art in Dublin and was a renowned figure in the artistic world during the 1950s in England and Ireland.